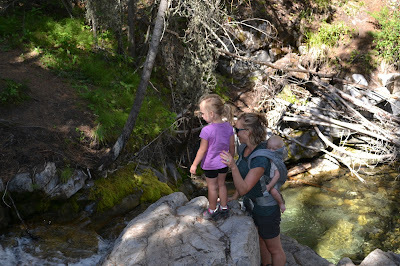 As an active mom, my girls have both spent a lot of time in a baby carrier. With our first daughter, Brooke (now three years old), we used a soft structured carrier (SSC) often for neighborhood walks, grocery shopping, adventures in the mountains, airplanes, and occasionally tasks around the house. When Mikah (now 10 months old) came along, the carrier became an extremely important part of my life! With a busy toddler to play with, snacks and meals to prepare, a house to [attempt to] keep clean and tidy, and a Little who wanted lots of snuggles (as newborns should!) “baby wearing” as it is called became part of my daily life. 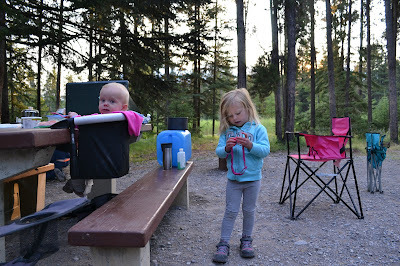 I am fortunate to have two girls who enjoy being “worn”, as it makes “mom life” easier with access to both hands and also makes adventuring a ton of fun! Finding a baby carrier that works for your body and that is equally comfortable for your little ones can be tricky! There are a huge variety of brands and styles out there and I do recommend trying many on to find the right fit for you! That being said, I have recently had the incredible opportunity to try out the Onya Pure. This beautiful and functional SSC has been fun to try out and I am excited to share my thoughts on it here! When shopping for a SSC, three important aspects to look into are fit, comfort, and functionality. As alluded to above, each body is different. That being said, the Onya Pure does an amazing job of adjusting to fit various body shapes and sizes. The waist belt can be adjusted from either side, there are two different shoulder strap adjustments, and the chest/upper back strap moves up and down as well as inwards and outwards. I found all the straps very easy to adjust for a snug and secure fit. They also loosen easily for quick removals and when switching between girls. I carry Mikah on both my front and my back with minimal adjustments required. Both directions are very easy to put her on by myself, once I figured out a trick for the upper back strap! The first time I attempted putting her on my front, I couldn’t reach the back strap to secure it and had to ask for someone’s assistance. After I figured out to loosen under my armpits I could then secure the back and re-adjust under my arms for a perfect fit! Strapping Brooke to my back is very easy! With the waist belt secure, I kneel down for her to jump on as if gearing up for a piggyback! I then scoop each of my arms through the straps and buckle in. Again, great fit! Overall, I find the fit of this carrier awesome! The buckles and straps are extremely easy to adjust, yet strong and secure once in place. This is an extremely important category for me. 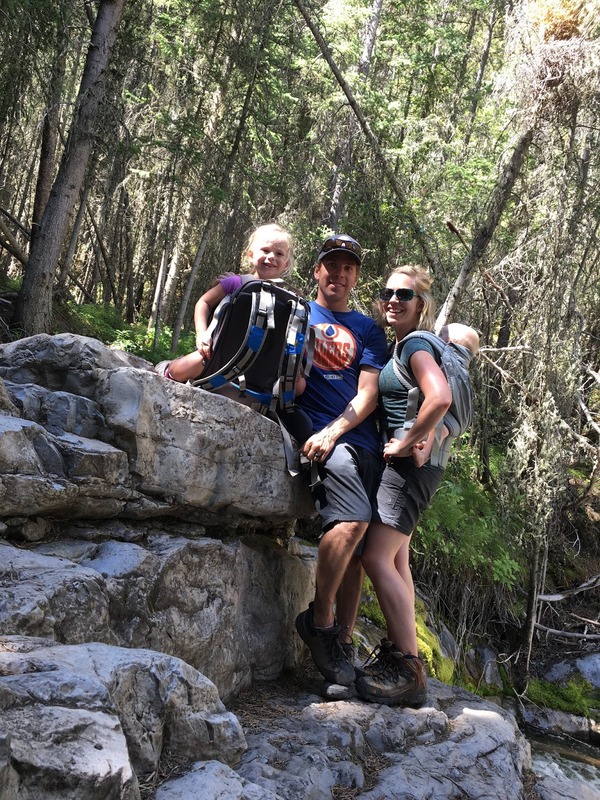 Whether I am wearing Mikah around the house while I vacuum or adventuring with Brooke on my back, I need a carrier to be comfortable for us all! The Onya Pure meets this criteria hands down!! The fabric is soft and smooth and not itchy. It was even comfortable when wearing a tank top and sweating! Very important. I don’t feel overly constricted in upper body movement while wearing Mikah on my front and enjoy the weight distribution between my shoulders and upper and lower back. I know Mikah is comfortable because she has yet to stay awake for more than 15 minutes after putting her in the front carry position! 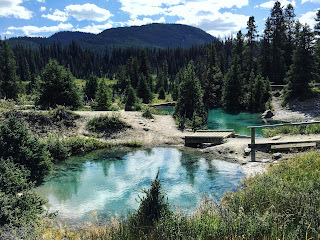 …even when I tried to time our hike perfectly between naps. It must be a nice ride! 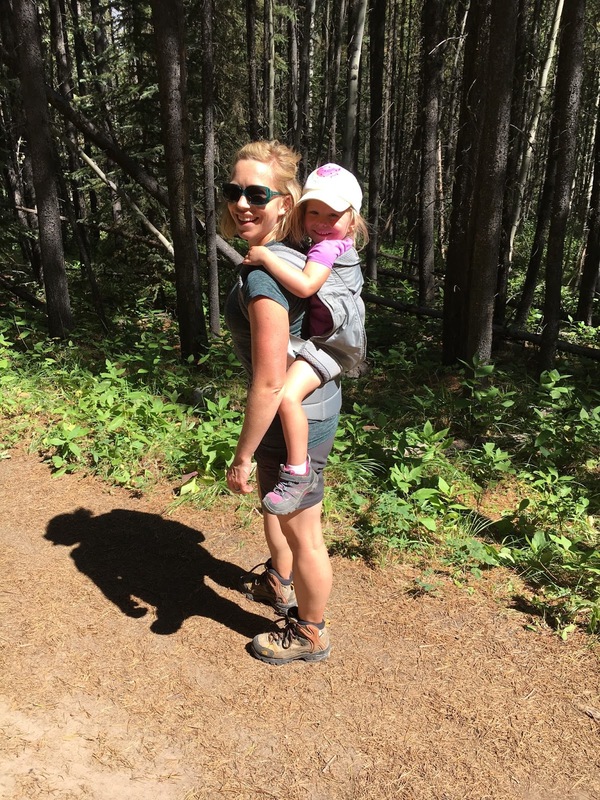 I first tried Brooke on my back during a nice mountain walk (hike might be a stretch for the trail we chose, as we wanted Brooke to walk most of it). She loved being able to see the mountains, trees, bugs, and everything else from my back! She told us she was comfortable and I believe her, because three is a very honest age. There is a wonderful mesh vent feature for warmer days! You simply roll up the front panel and have great airflow. Overall, I would have to give the Onya Pure a very high rating for comfort for both the fabric and the way it wears. For most uses, this SSC is extremely functional. As mentioned above, it adjusts well to fit and is very comfortable. One of the best features of this carrier is how it offers quick ups and downs for both infant and toddler wearing. This makes it a great choice for using around home for indoor and outdoor work, as well as adventuring in the river valley or mountains. The carrier itself packs up quite small, which makes it great for having in the car, tossing in the stroller, or keeping it tucked in the diaper bag. I love that both girls can be carried in it and that they obviously enjoy it! The Onya Pure can be used for Littles 7-20kg. An infant insert can be purchased separately to carry babies 3.2-6.8kg. One functional feature that this carrier does lack though is a true pocket. As someone who often wears leggings (mom life), even having one pocket for my keys and phone is a necessity. The front mesh vent can close with cooler weather and one item can maybe be stored in that compartment. However, when the vent is open during warmer weather, there is nowhere to safely stash my stuff. 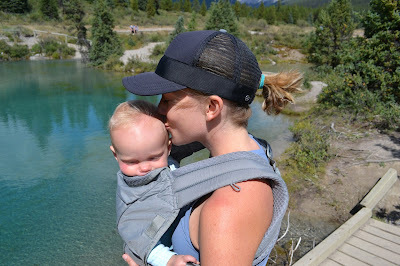 One other key feature that this product lacks for adventuring is a sunshade cover for baby’s head. We covered Mikah’s head with a hat during our sunny hikes, but while they are napping I find a simple cover can work even better. 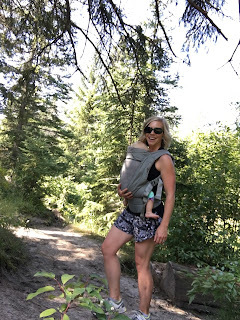 Despite the few features it is lacking, I still rank the functionality of this carrier as high because of its adjustments, comfort for all involved, and that it can be your one-and-only baby- and toddler- wearing device! You can probably tell that I’ve enjoyed trying out this carrier! The Onya Pure is lightweight, soft, secure, fits well, adventures great, is comfy for me to wear, and cozy for the Littles. Other than not having pockets, this is the perfect tool to help you enjoy some snuggle time while cleaning up around the house, grocery shopping, walking to the playground, or hiking up a mountain! Adventuring as a family is our favourite. Along the way we teach, we learn, and most importantly, we make beautiful memories. How are you going to #AdventureWithThemOnya ?? Get your own Onya Pure at MEC here!